URBED has led a consultancy team including King Sturge and TPP to develop a vision and strategy for Bury town centre as part of the review of the Unitary Development Plan. This has since been used to guide the development pressure that Bury is experiencing. 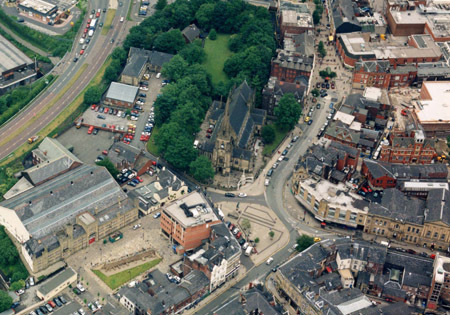 Bury to the north of Manchester is a market town, which grew rapidly in the industrial revolution. It is a strong retail centre with one of the best markets in the UK. 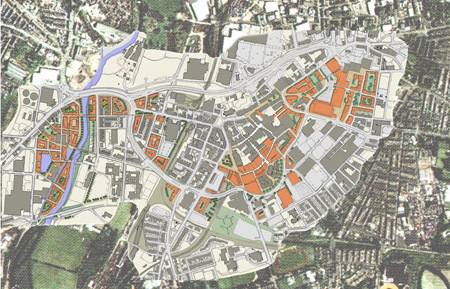 With a few developers interested in Bury it had the chance to further positively transform its centre and the adjacent neighbourhoods, which, in Bury's case, formed what we have called a 'shatter zone'. 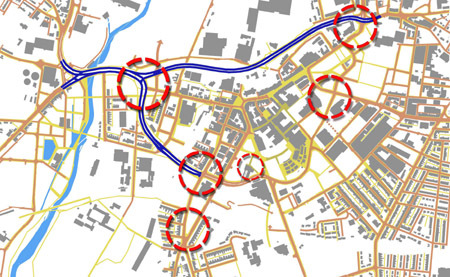 To relink these neighbourhoods with the town centre we agreed to downgrade the eastern part of the ring road and to establish a series of town centre quarters. The masterplan was praised by CABE for accommodating retailing while respecting the nature of the town.